The UK government will go to any length to stop the Kodi epidemic. Kodi is the most downloaded and most used open-source media player of all time. Okay, maybe not of all time but it is certainly close. And with great popularity comes great attention from law enforcement agencies. But who cares about law enforcement agencies when you have rightsholders and broadcasters on your back. Kodi is currently in the midst of preparing itself for a battle against groups of rightsholders and broadcasters who want to take it down. And it seems that their complaints against Kodi (more specifically Kodi boxes) are finally bearing fruit. Well, recent reports published in the media have revealed that the United Kingdom’s Intellectual Property Office is now giving serious considerations to how Kodi can be stopped. More like, how can they control what they call the Kodi epidemic. Without going into too many details (we’ll save those for later), can Kodi really be stopped? In fact, let’s ask another more fundamental question. Why do people use Kodi in the first place? Is it because it looks nice? Or maybe it has a high brand value? Maybe it has great resale value. Or just maybe, in your country it is considered to be a status symbol. Because people do not use Kodi for any of those reasons. People use Kodi because Kodi is free. It is open source and it has an infinite library of movies, TV series, Sporting events and Documentaries. Not to mention, you can stream as much as you want, when you, where you want. These are the reasons why people all over the world prefer Kodi as their primary media player. Your favorite open-source streaming software might be going away for a while. It matters because no amount of deliberation on part of United Kingdom’s Intellectual Property Office is going to have an effect on Kodi’s popularity. The best thing they can do on their part is introduce other means of media consumption. That form of media consumption must rival Kodi in terms of price and variety of content. Any laws made against the use of Kodi box before that will become redundant pretty soon. But that fact shouldn’t come into discussion at this point in time. Right now, the pertinent question is whether United Kingdom’s Intellectual Property Office is planning to come up with laws that can curb the spread of Kodi boxes all over the country. Otherwise, why would they invite all interested groups to a consultation meeting? More participation also means that whatever the outcome of the meeting is, United Kingdom’s Intellectual Property Office wants that outcome to be on a mass scale rather than a local one. Moreover, the participants of the consultation will also give their take on many other issues. Issues such as how law enforcement agencies can effectively fight pirates who distribute Kodi boxes. How they can combat fraud/online fraud better in the future. Perhaps the most worrisome part of the consultation process is the rumor that some new legislation might target pirates. By pirates, we mean, people who sell these Kodi devices and people who use these Kodi devices. That is, you and the rest of 261 million people who visit The Pirate Bay every single month. Kodi’s official website, Kodi.tv, alone gets more than 16 million hits every month. How United Kingdom’s Intellectual Property Office plans to combat that problem is something only they know. Despite All Efforts, Torrent Use Continues To Increase On A Yearly Basis. Our guess is that BitTorrent use increases on a daily basis rather than yearly basis, but we’ll play along with the official statistics. The fact is, BitTorrent use has not slowed down for the past several years. Moreover, avenues to engage in privacy have kept on increasing since forever. The consultation talks are more like “how to get rid of set-top boxes” guide. The piracy movement has also gained a lot of momentum in the past couple of years despite the shutdown of two huge piracy websites such as Kickass Torrents and The Pirate Bay in Australia. Perhaps that is also the reason why more and more people are moving away from traditional methods of piracy. That is, moving away from downloading huge files on their hard drives using a torrent client such as, Tixati, and storing those on their computers. Which of course fills up space and SSD storage isn’t exactly cheap nowadays. People are moving towards Kodi. Kodi, as far as United Kingdom’s streets are concerned, is more synonymous with the term Kodi Boxes. These boxes play all sorts of media. It can be legal media or otherwise, that is another issue. The point here is that people can get hold of these Kodi boxes rather easily. Why Do They Call These Devices As Kodi Boxes? They call them Kodi boxes because of the software that comes pre-installed on these devices. No prize for guessing that software is Kodi. Kodi is used as the base software in almost all of these “set top boxes”. In the UK, since the levels of Kodi box use has reached epidemic levels, they are simply called Kodi boxes. Besides, it is much shorter than “set top box with Kodi on it”. As mentioned before these devices, which are also called Kodi enabled devices, act as pirate nirvana for their owners. The reasons should be clear to you by now. Kodi boxes allow these owners to have access to any and every type (and form) of media that is available on earth. And most of all, it does all that for very little money. Owners get what they want (which is infinite content and low cost) while producers get what they want (more sales). A win-win situation for everybody. 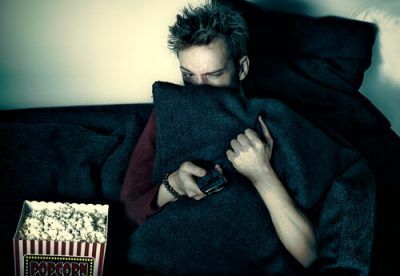 The UK government wants to put an end to Kodi-box-streaming-at-home-with-popcorn phenomena for good. But is this dynamic really desirable? Not too long ago, you had to invest a lot of money in order to view any sort of content. Cinema tickets weren’t exactly cheap, and nobody wants to buy DVDs. DVDs get worn out pretty quickly. Plus, it is an absolute pain to store them. Not to mention that you have to handle them with excruciating care so that they don’t get scratched. In any case, PCs were not as cheap as they are now. At least in terms of raw power they were not. They want to view movies (some also want to listen to music for bizarre reasons), TV series and live events. It doesn’t take a genius to figure out that most of the content types mentioned above won’t be available for free. More formally through, illicit sites that stream copyrighted content on the internet. But even though the prices of desktop computers along with much more mobile laptops have dropped considerably, nothing beats free. Or more specifically, close to free. We are talking about Kodi boxes. You already know that Kodi is an open-source media player that can play all sorts of media. So what are Kodi boxes then? Kodi boxes are 21st-century man’s best friend when it comes to media consumption. They are basically Kodi setups. Just Kodi software setups which have been heavily augmented. Augmented with what you might ask? Well, mainly these Kodi setups are augmented with Android hardware. But smartphone and tablet versions are also available. No longer do you need a beefed up desktop computer costing $2000. The message from the sellers seems to be that there is no barrier for the less privileged. In other words, watching all the movies you could ever want to watch is more affordable than ever. 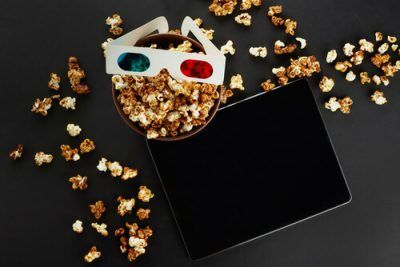 Piracy circles are prospering and it is all down to ultra low-cost media consumption tools such as Kodi and Kodi boxes. That’s Why Rightsholder Groups Are Worried. Understandably, this situation has got rightsholders group all over the globe worried. And the United Kingdom is actually the hotbed of Kodi boxes. In fact, it is rather easy to find a seller who sells these Kodi boxes on most street corners. Moreover, one can imagine how easy it would be to get hold of a seller through the online channels. Consequently, law enforcement agencies along with anti-piracy groups have kept themselves busy. They’ve kept themselves busy by going after people who are responsible for Kodi box proliferation in the United Kingdom. In other words, Kodi box sellers. Additionally, they are also trying to tackle people who sell this kind of hardware in general. To put it another way, law enforcement agencies are hardware agnostic. It doesn’t matter if the set top box has Kodi on it or not. As long as a particular piracy device is enabling users to watch copyrighted content without prior permission from producers, it is deemed to be a crime. And the police in the United Kingdom want to do everything to put an end to this practise. Now, they have made some arrests and the cases against the accused are in a “pending” state. So what’s the hesitation then? The hesitation is on part of the law enforcement agencies along with lawmakers. What About Lawmakers in The UK? Truth be told, the current legislature in the UK is grossly incompetent to deal with modern crimes like piracy. In fact, we’re talking about the advanced stages of piracy. No one is selling bootleg recording anymore. It’s all out there in the open. Movies, TV series, documentaries and everything else under the sun is on display on sites like The Pirate Bay. And through devices such as the Kodi box. And since current UK laws are not up to the task, observers have noticed a certain degree of nervousness. We already know that the Intellectual Property Office in the UK has launched a consultation effort. Through this consultation effort, the government has demanded input from the various groups involved in the industry. Some experience in investigating crimes mentioned in the previous point. Prosecuting the criminals once they are found and evidence is presented. Now, although the government is actively looking for some very specific groups, other entities that have valuable information are also invited to join in by default. The Intellectual Property Office put out a statement recently which said that Internet Protocol Television, or IPTV, boxes were basically small plug and play media servers. 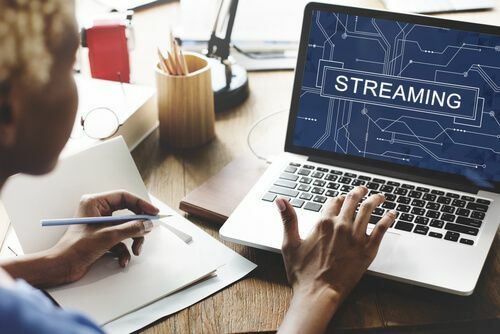 The statement from Intellectual Property Office also stated that these devices were originally designed to enable customers to stream legitimate content. That is, legitimate content that may be stored locally on a computer machine or at least online legally. Of course, most of the inventions are first introduced in order to achieve some good. As time passes though, these inventions are used for purposes which seemed alien to the inventors. Using Kodi Boxes In And Of Itself Is Not A Crime. Or more appropriately, it is not a crime yet. The statement from Intellectual Property Office also communicated that despite the legitimate use of Kodi boxes, the software itself was widely available. The software the IPO is talking about here is of course illegal kodi extension. In other words Kodi addons . 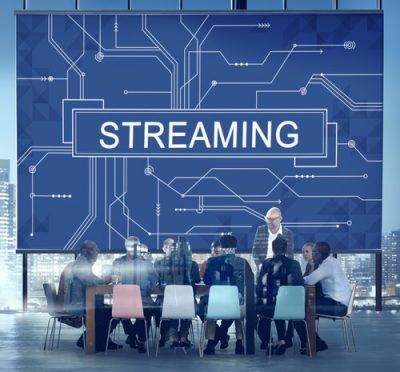 Nevertheless, the IPO believes that software like Kodi add-ons enable these devices to connect to illegal content through streaming websites, BitTorrent trackers and file lockers. And in what may come as a surprise to absolutely no one, the IPO also believes that devices such as Kodi boxes have become quite common in the UK. They are also widely available from retailers who operate solely through online websites. These sellers sell these devices at very low costs. Which has lead consumers to adopt the technology rather quickly. Naturally, this has rung alarm bells amongst businesses who earn their living from distributing copyrighted content in an official capacity. Recently the IPO also noted that broadcaster and all the content owners had voiced their concerns about the situation. The concerns were mainly related to the range of existing legislation. IN other words, content owners believed that relevant laws were in place that applied to the sale of these devices. There were also other laws that dealt with the supply of illegal content streams. But there was no legal framework in place that provided enough tools to control the Kodi threat. From the information that is available right now, it is highly likely that the UK government will take drastic actions. These actions could include the introduction of additional laws which would tighten up current laws. And hopefully such actions would allow legislators to apply relevant laws to these Kodi boxes appropriately. Moreover, it is equally likely that new laws will probably affect everything from advertising and sale to supply and use of these Kodi devices.